PCA Winchester was asked to carry out an evaluation of land known as ‘Saltbox’, at Shripney, near Bognor Regis, West Sussex. The site, located on the Sussex Coastal Plain and 5km south-east of the historic City of Chichester, lies in an area of prehistoric and Roman period settlement that is also known to contain, buried beneath deposits laid down at the end of the last Ice Age, Palaeolithic, or ‘Old Stone Age’ remains, including the nationally important remains of a flint working and butchery site recorded at Boxgrove, located a short distance to the north of ‘Saltbox’. The evaluation comprised 30 trenches in which 15 geoarchaeological deep test pits were machine excavated to test for the presence of the important Palaeolithic evidence. The deep Ice Age, or Pleistocene, deposits were successfully characterised but no artefactual or environmental indicators of Palaeolithic date were identified. By mapping the deep Pleistocene deposits from site to site across the Coastal Plain, it is possible to refine our knowledge of the extent of the Palaeolithic remains that lie buried, sometimes several metres, below the ground. 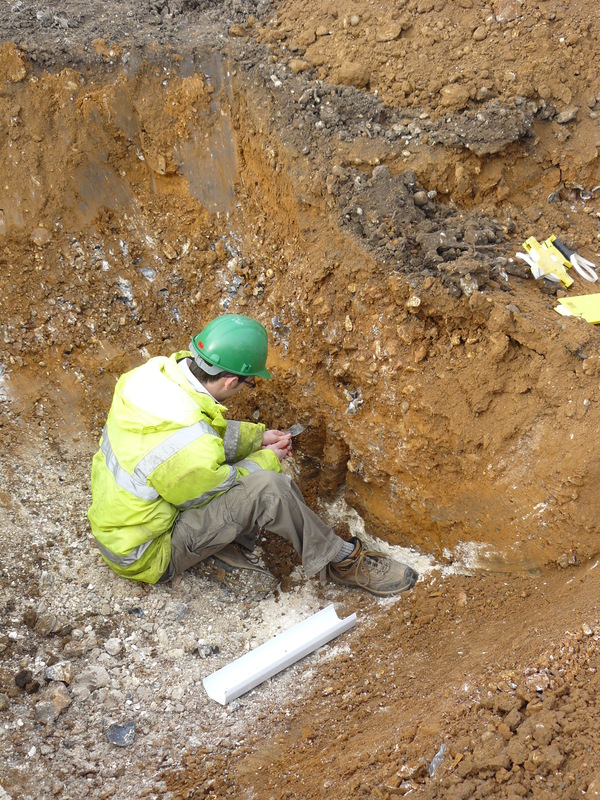 PCA’s own geoarchaeologist Barry Bishop supervised the test pit excavations, lending his expertise to the project.